While the Seleucids and Ptolemies battled for control of Palestine, Hellenism--the synthesis of Greek and native Near Eastern cultures--took hold. In the summer of 332 B.C.E., Palestine was conquered by Alexander the Great. The land and people of Israel were now part of the Hellenistic world. 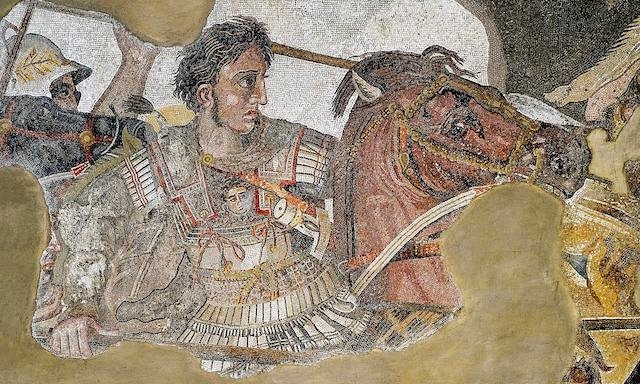 Alexander passed through Pales­tine first on his way to Gaza during his campaign to subjugate the Phoenician coast and then on his way from Egypt to Baby­lonia. He may have spent some time in Palestine dealing with a revolt in Samaria, and it is possible that he met then with Jewish leaders. By the time Alexander died at age thirty‑three in 323 B.C.E., he had conquered the entire area from Macedonia to India. Palestine was part of this new empire. After Alexander’s death, his generals, known as Diadochi (“successors”) were unable to maintain the unity of the empire and it soon fragmented. Individual generals were appointed, on the old Persian pattern, to rule as satraps over particular areas. In 323 B.C.E., Ptolemy took control of Egypt. This date is regarded as the beginning of the Ptolemaic Empire, although he was not officially crowned until 305 B.C.E. After some difficulties, he had established himself and his empire on a sound footing by 312 B.C.E., extending his authority to the entire eastern part of Alexander’s domain. The rest went to Cassander in Macedonia and Lysimachus in Thrace. The Ptolemaic and Seleucid kingdoms were destined to play a profound role in the history of Hellenistic Palestine. During the period of the Diadochi, Palestine changed hands between the Ptolemies and the Seleucids five times. 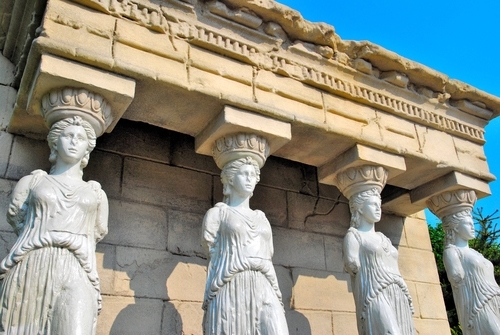 The lack of stability prevented Hellenism from making more than a modest beginning in the country in the early years of the Hellenistic period. The unstable situation must also have fostered some degree of local autonomy, enhancing the already significant role of the high priest in the affairs of Judea. By 301 B.C. E., however, Ptolemy had finally established a firm hold on Palestine. Despite the damage caused by their ongoing conflict with the Seleucids, the Ptolemies were able to maintain at least de facto control over Palestine. Considerable informa­tion about this period comes from the Zenon papyri, a collection of administrative documents from the archives of an Egyptian finance minister some of which were sent to him by his agent in the Land of Israel. These documents tell us of Palestine under the rule of Ptolemy 11 Philadelphus (283‑246 B.C.E.). The country was often beset by Seleucid attacks and Bedouin incur­sions. Ptolemaic military units were stationed throughout Pal­estine, and many Greek cities were established. Many of these were set up as cleruchies (military colonies) in which soldiers who married native women were given homes and fields, thus fostering the intermarriage which was so much a part of the Hellenistic world. In addition, an extensive Ptolemaic bureaucracy managed governmental affairs and taxation. Central to this officialdom was the goal of developing economic life and trade. Among the exports to Egypt from Palestine and southern Syria were grain, olive oil, smoked fish, cheese, meat, dried figs, honey, dates, and other products. Palestine also assumed importance as a crossroads for the spice trade. In contrast with what we know about Ptolemaic affairs in Palestine, we have virtually no information about Jewish political developments. Judea continued to be governed by the high priest and the priestly aristocracy. One of the few incidents we know about is the quarrel about taxation between the high priest Onias 11 and Ptolemy III Euergetes (246‑221 B.C.E. ), who reportedly visited the Jerusalem Temple. The end result of the dispute was the appointment, in 242 B.C.E., of the young Joseph, son of Tobiah, a nephew of the high priest, as tax collector for the entire country. The rivalry between the Tobiad family and the Oniad high priests eventually played a part in the attempted radical Hellenization of Judea later on in the second century B. C. E.
In 221 B.C.E. the Seleucid king Antiochus III invaded Palestine for the first time. When this attempt failed, he persisted in seeking an opportunity to gain control of this important land bridge. The death of King Ptolemy IV Philopator in 203 B.C.E. opened the way for him. In 201 B.C.E. he invaded the country again and quickly conquered it. By 198 B.C.E. the Seleucids were solidly in control, and would remain so up to the Maccabean Revolt (168‑164 B.C.E.). By the time the Ptolemaic sway over Palestine came to an end, Greek cities had been established throughout the country, and Hellenism had sunk strong foundations, ultimately to tear the nation apart before Judea regained its independence. Was It Good for the Jews? In the years of conflict between the Ptolemies and Seleucids each of the rivals was supported by a Jewish party or faction. The Gerousia, or council of elders, mentioned for the first time in sources from this era, backed the Seleucids. Indeed, the high priest Simeon the Just (ca. 200 B.C.E. ), who probably headed the Gerousia, is known to have supported the Seleucids. He must have regained the power over taxation, which had been assigned to Joseph ben Tobiah and was now charged with refurbishing the Temple and the city. When Antiochus III (223­-187 B.C.E) won control of Judea, he affirmed the right of the Jews to live according to their ancestral laws. Yet only some 30 years later the Jewish proponents of extreme Hellenization would see his son, the Seleucid monarch Antiochus IV Epiphianes, as the agent who would carry out their plans to Hellenize Jerusalem and its people. The following article is reprinted with permission from From Text to Tradition: A History of Second Temple and Rabbinic Judaism (Ktav). The marriage of politics and religion contributed to both the expansion and destruction of this short-lived dynasty. The details of this ill-fated effort to create a two-state solution for Jews and Palestinians. Judea becomes a Roman tributary.